Although every person in this world likes to hold on to his/her personal opinion on every matter, there are a few issues which enjoy universal acceptance and one of them pertains to buying a wedding gift. No matter which corner of the world you belong to, the dilemma that precedes the selection and purchase of a wedding gift is one of the inescapable truths. In addition to being liked by both halves, a wedding gift should have some utility value and should also be well within your budget. Now doesn’t that render the process difficult and intimidating? Check the couple’s wedding registry – Nowadays it is common for outlets to maintain wedding registries in which the to-be-wedded couples register their names and also mention the kind of wedding presents that they would like to receive on their d-day. So if you have been invited to a wedding and need to buy a gift then your first priority should be to check the couple’s registry in terms of items specified by them. There are a few imperative must-dos’ in this case, the foremost being to check the items which have already been purchased so that you do not end up buying them as well. Indeed duplication of gifts is nothing but a waste of money that should be avoided and on your part you must also ensure that the gift that you have selected for purchase from the registry is stuck off the list immediately. Keep the couple’s choice in mind – An important point to remember while choosing a gift is that it should conform to the couple’s choice and not yours. It is possible that you may find the scarlet dinner set to be extremely garish but if it conforms to the couple’s choice then you might as well buy it for gifting purpose. Since the gift is meant to be for the other person’s use it should be chosen as per his/her preferences rather than yours. Large gift – In case you are unable to find something in the registry that could be considered as a worthy gift then the option of pooling together and choosing a large gift should be given some thought. For example, open tickets for a Caribbean cruise or a skiing holiday in Switzerland could prove to be too expensive for one person to sponsor but can be easily afforded if there are a number of families contributing. Situation of the couple – Much of the appropriateness of the gift would depend on the situation that the couple might be facing like the city they might be planning to settle in, state of the house they may be intending to move into and so on. If you are aware of the situation then you can choose a wedding gift that befits their particular circumstances, meaning you could offer to pay for the painting and landscaping services or give cash. With these tips in mind, you no longer need to feel overwhelmed by the task of choosing a wedding gift because chances of going wrong are minimal. Anniversary is a special day, a day when you remember that a knot was made, and the love bond was created. An anniversary is the celebration time of love, trust, tolerance, understanding and partnership. Every year, the bond becomes stronger in a marriage, makes the love mature and get more sense of care and understanding among the two people. As they say, “love grows stronger with its age”. With every passing year, the excitement and ideas of gifting each other changes. Anniversary gifts are special message of love, sometimes what we want to say, think and feel, cannot be expressed in just words. Sometimes some special gifts to one another become a good way of showing love to your beloved. One of the memorable anniversary years are: the 1st anniversary, 25th anniversary, 50th anniversary and 75th anniversary. First year is the most special and dear one for the couple, the first anniversary holds special memories and gifts for each other. First year is a time period when love nurtures, and you start knowing your spouse better than the day you got married. You start sharing a bond of love, secrets and care. The most popular gift ideas are: photo frames, coffee mugs, tee shirts, caps, aprons and personalized phone case. A twenty-fifth anniversary that is also called as a silver jubilee or a silver anniversary is one of the best times in a couple’s life. You have spent a quarter of a century in love with one person, and that needs to be celebrated. As this year is special, you have seen the ups and downs of the relationship you share; you are now understanding your differences and working on growing up your children with best of education and values. The most popular gifts are silver: Silver is known for its radiance and brilliance, gift silver accessories, silver photo frames, bags, tee shirts, beer mugs, coffee mugs, and jewellery. A fiftieth anniversary that is also called as the golden jubilee or golden anniversary is one of the most celebrated wedding anniversaries. The golden anniversary should be celebrated with nothing but gold. You have seen your kids growing up from kinder-garden to school to college, watching them getting married and seeing the next generation. You have seen it, and you are living the golden era of your life with someone who loves you and understands you, like you. 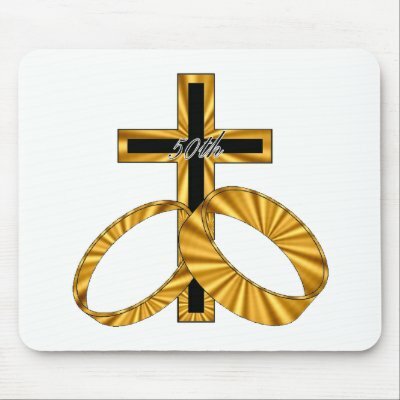 The most popular gift for this anniversary will be golden accessories or anything that cherishes memories of fifty years of togetherness, love and care. A seventy-fifth anniversary that is also called as the diamond jubilee or diamond anniversary is one of the most memorable anniversaries, not only for you but for everyone who loves you and who is around you. The most popular gift will be anything diamond or crystal for your loved one. It is a true milestone in your life, as you have stayed happily and in love with the same person for 75 years. There are so many memories to remember and so many moments to cherish. 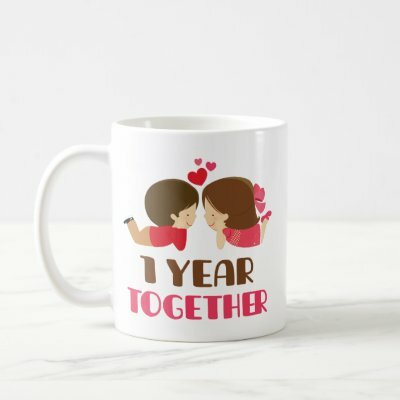 You can go for diamond or crystal accessory, photo frames, mugs, cups, caps, tee shirts, bags and more. They say “an anniversary is a time to celebrate the joys of today, the memories of yesterday, and the hopes of tomorrow”. So celebrate and share gifts with each other, like you have shared your lives with love, care and compassion.